Tiered or “Stair-Step” programs are a common incentive structure, awarding individuals or businesses with increased per unit payouts as they reach certain thresholds of sales production. Makes sense, right? Sell more, get more – the ultimate in pay for performance. For example, sell 1 to 10 widgets, earn $5 per unit. Selling 11 to 20 widgets and earn $10 per unit. For selling 21 to 30 widgets, earn $15 for each widget sold. Other elements can also be incorporated into the program, including fast-start bonuses, making structures more complex. The stakes get high when the program is retroactive, meaning the $5 that you get from selling widgets 1 through 10 becomes $15 per unit from widget one – when you reach the target bonus threshold. Wow, a lot of money is on the table at the end of the program as participants strive to hit that top tier. Sounds exciting, doesn’t it? These programs can be quite controversial however, especially in industries such as automotive where Stair-Step programs can actually create an unequal playing field between large and small dealers – if the program structure is too general for all dealers in the network. The larger volume dealers may use their forecasted Stair-Step dollars to arbitrarily offer discounts to customers. Large dealers always set the market price. With Stair-Step programs, they can control and manipulate market pricing with little to no price competition from the smaller dealers. Large dealers increase volume; smaller dealers struggle to be profitable. This can also cause an eroded customer experience. Smaller dealers are forced to make a decision: do they take a gamble and match market pricing of the larger dealers, betting that they will reach their Stair-Step objective and come out of the program profitable. That can be a big risk for dealers in a small market who have limited potential. This is why the National Automobile Dealers Association (NADA) has taken such a strong position against Stair-Step incentives as they can negatively affect a large portion of their membership base. So what is a manufacturer to do? They want to drive volume, especially in cases with excess inventory, need to move certain models or need to drive market share. They must take care of their top dealers and if mid to small dealers can reach set thresholds, they win too. 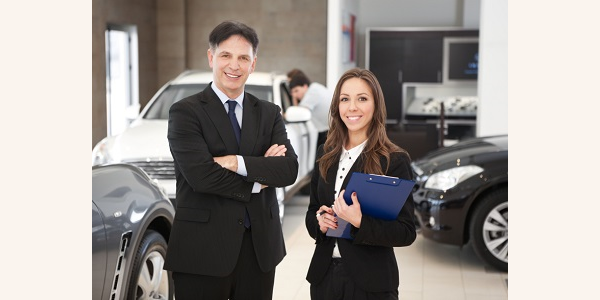 However, in too many instances smaller dealers can take a hit directly to their bottom line. – Periodic Bonus – disrupts the month-end discount push, but forward thinking large dealers will eventually adjust their annual strategies to a monthly projection in order to set market price. – Groupings – set specific attainable tiers, by dealer or groupings of similar sized dealers, based on historical volume. Gives dealers of all sizes more of a comfort level in reaching their objectives. However, can still put discounting power in the hands of the larger dealers. – Non-Cash Incentives – take away the cash element and give dealers trips, experiences, merchandise, rewards to disburse to their teams, etc. This is quite effective in engaging dealers to motivate their teams to exhibit the right behaviors everyday to drive sales and achieve quota. Some dealers can, however, use cash-based discounting to drive sales in contest periods in order to achieve the award objectives. While popularity and implementation of Stair-Step programs ebbs and flows with the economy, they will be utilized by sponsoring companies in some form or another for the foreseeable future. With advances in program structure, analytics and past experience, companies will be tasked with designing programs that will` generate their desired effect. That means recognizing clout of your top performers and maximizing potential of the middle group through strategic design and engagement. – Is the program attainable? – Can the program be communicated clearly and is it fair? – Are expectations clear and is progress toward achievement communicated adequately? Following these principles virtually assures a successful program with maximum participation. It does take work and collaboration with various business teams to understand the dynamics and nuances of their business, so together they can develop programs aimed at driving behaviors that generate optimal results. For more information about JNR and how we help companies design and execute successful incentive programs, feel free to give us a call at 800.343.4546. That’s what we’re here for and what we do every day.